To become a Patent Attorney you must pass an examination administered by the U.S. Patent & Trademark Office (USPTO) which is a federal administrative agency that is part of the U.S. Department of Commerce. Currently, the examination, which is referred to as the Patent Bar Exam or the Registration Exam, is a computer-based 100 question multiple choice examination. It can be taken on-demand at various commercial testing centers located throughout the country. You must have a science background to be eligible to take the examination. However, the examination does not test technical knowledge. It tests various aspects of Patent Law. Additionally, you do not have to be an attorney to take the examination. A non-attorney who passes the examination is designated a Patent Agent. 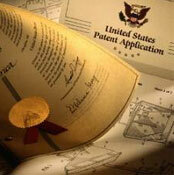 Only Patent Attorneys or Patent Agents can represent inventors seeking issuance of a patent from the USPTO. This type of legal work is called patent prosecution. Currently, only about 40,000 Patent Attorneys and/or Agents are actively practicing patent prosecution in the U.S. Traditionally, most Patent Attorneys have been engineers. However, the growth of bio-tech research has created substantial opportunities for individuals with advanced degrees in biology, chemistry and related fields to become Patent Attorneys. Many law schools have Intellectual Property programs but few have extensive course offerings specifically related to both basic and advanced aspects of Patent Law. Only Patent Attorneys or Patent Agents can represent inventors seeking issuance of a patent from the USPTO. This type of legal work is called patent prosecution. Currently, only about 30,000 Patent Attorneys and/or Agents are actively practicing patent prosecution in the U.S. Traditionally, most Patent Attorneys have been engineers. However, the growth of bio-tech research has created substantial opportunities for individuals with advanced degrees in biology, chemistry and related fields to become Patent Attorneys. Many law schools have Intellectual Property programs but few have extensive course offerings specifically related to both basic and advanced aspects of Patent Law.